Arabs are now writing novels about Jews (irritatingly referred to here by the controversial phrase 'Arab Jew') - maybe because their communities are gone. Is it nostalgia for days gone by? Or a more honest appraisal of the past? But still, they try to draw a distinction between 'their' Jews and Israeli policies. Interesting blogpost in the Guardian. For decades, Arab Jews went missing from Arabic films and novels. This loud absence followed the Jewish exodus from Cairo, Damascus and other cities around the region. Before the second world war, Jews had seemed an eternal part of the Arab cultural fabric. 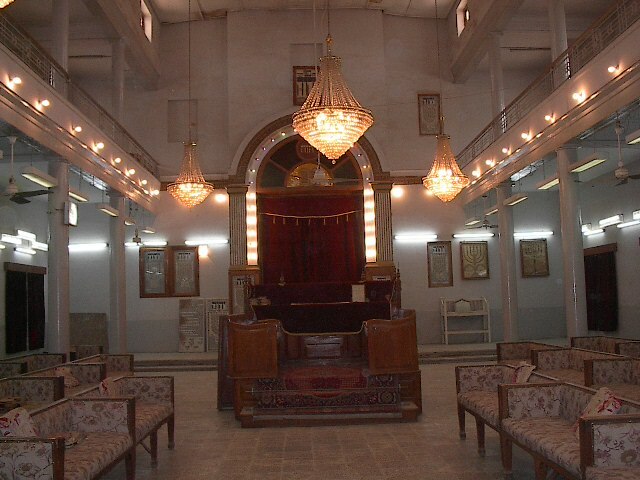 In the early 20th century, Baghdad’s Jews had made up one-third of the city’s population, and were prominent in the arts, commerce and city administration. Things changed drastically in June 1941, when the riotous Farhud pogrom killed around 180 of Baghdad’s Jews and wounded closer to 1,000. Over the next decades, as the city’s Jewish residents emigrated or were driven out, they also disappeared from Iraqi narratives. 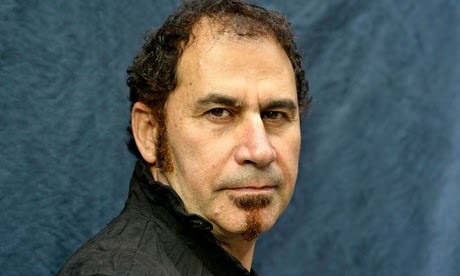 But when acclaimed Iraqi novelist Ali Bader was searching for the origins of contemporary violence in Baghdad in his 2008 novel The Tobacco Keeper, he circled back to the Farhud massacres. From there, he depicted the city’s vibrant early-20th-century Jewish population. Bader, who also wrote about the city’s Jewish population in his influential Papa Sartre, isn’t alone. Papa Sartre, published in 2001, was followed by more than 20 other novels and novellas that foreground Arabic-speaking Jews. These stories remained largely frozen until about a decade ago, when films and novels that put ordinary Arab Jews in the spotlight began to appear, and were set in Syria, Tunisia, Yemen, Libya, Egypt, Iraq and Algeria. Among these are Syrian novelist Ibrahim al-Jubain’s Diary of a Damascus Jew (2007), Egyptian novelist Mutaz Fatiha’s The Last Jews of Alexandria (2008), Yemeni Ali al-Muqri’s The Handsome Jew (2009), and Algerian Amin Zaoui’s The Last Jew of Tamentit (2012), written in French. These novels have been coming from across the region. “And I don’t think that the writers had an agreement among each other – that they had a workshop and then decided, ‘Come on, we’re going to write novels about it!’” Abdulhaq said at a talk this summer. Most of the novels are set in the middle of the last century and are based on true stories. “Lastness” is a central trope. A cynic might say that it’s now possible to write about Arab Jews because their communities are gone. But Bader, who was perhaps the first of this new wave, says he was intentionally writing against official regime history. In 2001, Bader said in an email: “Political discourse in Iraq was designed to legitimize the [Ba’athist] revolution, by denigrating systematically the previous eras.” This included the denigration of Jews and other minorities. 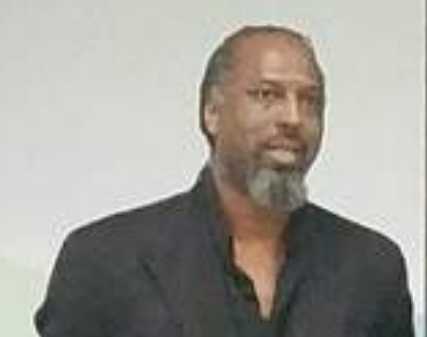 “All my novels try to invalidate the official version of the history,” Bader said. Other authors have had other motivations. Egyptian novelist Kamal Ruhayyim, who grew up in Giza and well-to-do Maadi, worked as a police officer in Cairo and Paris. When he began to write novels, he turned not to crime scenes, but to memories of his Jewish neighbours. According to his son Ahmed, Ruhayyim wanted Egyptians to remember this important part of their history. He also wanted them to understand the difference between Jewish communities and Israeli policies. In 1929, after years of relatively peaceful existence, the Arabs of Hebron responded to the call of the Mufti of Jerusalem and slaughtered the Jews in their midst. A Jewish child, Shlomo Slonim, 18-months-old at the time of the massacre, survived the brutality. 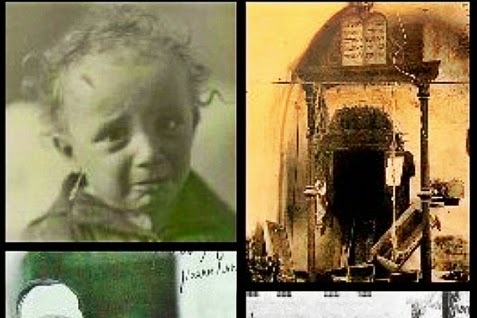 The Slonim baby lived because after being struck in the head with an axe, he lost consciousness and was covered by the dead bodies of his slain parents. His four-year old brother and grandparents were also slaughtered. In all, 24 of the 67 Jews butchered in Hebron that day died in the Slonim house. People hid there because it was thought to be the safest place, given the close relations Shlomo’s father had with the Arab neighbors who had promised him protection. "The first religious police in the Gulf was established in Kuwait during the time of the late Sheikh Salim Al-Mubarak to [combat] the public drunkenness and lewdness that were common in those days. The Kuwaiti Jews excelled in wine production in that period. The history of the Jews in Kuwait is important, but most of our generation knows nothing about it, and our textbooks ignore it. It is part of Kuwait's modern history, whether we like it or not, due to [the Jews'] contributions to trade and art, and secientific integrity requires us to document it. "The presence of Jews in Kuwait began in the late 18th century. Most of them came from Iraq because of the Ottoman regime, which imposed the [jizya] poll [tax] upon them and undermined their trade activity. Kuwait did not behave the same as the Ottomans, and [the Jews] saw it as a safe place to settle. They numbered between 50 and 800 – historians are divided on this. They had good relations with the late Sheikh Mubarak the Great, who saw ties with the Jews as a factor stimulating successful trade. However, these relations chilled during [the reign] of Salim Al-Mubarak, who was known to be devout, and because the Jews produced wine. 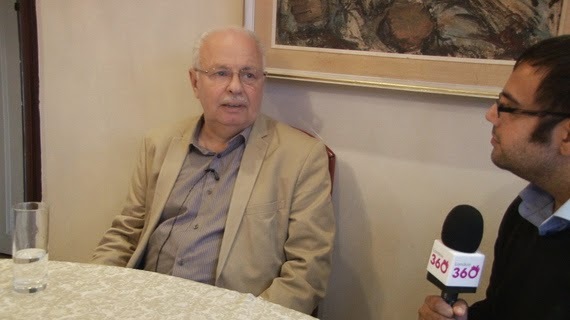 "In the study I am relying on, Kuwaiti researcher Yousef Al-Mutairi [of Kuwait University] interviewed Anwar Cohen, the last Jew to emigrate from Kuwait. Cohen says that many Jews left Kuwait for Iraq and other countries for various reasons, chief among them [the atmosphere in Kuwait following] the founding of the State of Israel. Cohen [himself] emigrated from Kuwait in 1953 due to an article written by Dr. Ahmad Al-Khatib, who claimed that Cohen's presence in Kuwait contradicted pan-Arab honor and solidarity with Israel-occupied Palestine. "We do not forget that some Kuwaiti Jews were businessmen who partnered with [Muslim] Kuwaiti businessmen, such as the [Jewish] businessman Saleh Mahlab, who was friends with Sheikh Mubarak [likely Mubarak The Great], and the Yehezkel family, who held the franchise to supply electricity to Kuwait for 35 years during the time of the late Sheikh Ahmad Al-Jaber. The Jews also contributed to the arts. For instance, Kuwaiti musician Saleh Al-Kuwaiti and his brother Daoud, who have a street named for them in Tel-Aviv as a gesture of appreciation for their work. "This was a brief review of the history of Kuwaiti Jews and the openness shown by the Kuwaiti people, who accepted them at that time. Kuwaitis of old were a shining model of interfaith coexistence and tolerance. Nowadays such tolerance doesn't exist [even] among members of the same faith, same homeland, and same destiny." It's the economy, stupid. Or a social trend to combat globalisation, and its agents the Jews. That's one good reason for Paris's summer of antisemitic rioting, argues Robert Wistrich. But in this response in Mosaic by Neil Rogochevsky, the economy is part of a toxic brew of reasons why life for the predominantly Sephardi Jews of the working class district of Sarcelles is becoming a real struggle. In the course of recent trips to France, I was fortunate to spend time in and around the heavily Jewish, heavily Muslim, all-working-class Parisian suburb of Sarcelles, site of some of the worst anti-Jewish riots this summer. 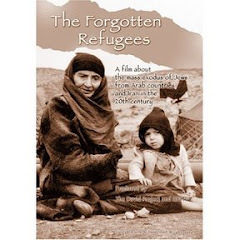 Developed in the 1950s to house French-Algerian pieds-noirs, both Jews and Gentiles,seeking refuge from the raging civil war, the town later absorbed waves of Jews expelled from Morocco and Tunisia. Respectable, safe, and comfortable if not exactly prosperous, Sarcelles began to decline in the 1980s. It is now a seething banlieue where a shrinking and aging Jewish community lives amid increasingly restive, hostile newcomers. Many younger Jews do escape from Sarcelles—social mobility is still not completely dead in France, and there is always the tantalizing prospect of Israel. But the ones who stay are caught in a difficult situation with little opportunity for employment, dreary marital prospects, and few avenues of self-improvement. The kind of Jews one meets here, as one might expect, are hard-scrabble—the ones I know are cab drivers and boxers. For the less ambitious or less fortunate, there’s always the unemployment line. In short, this is the kind of Jewish community one hasn’t seen much of in America for many decades. Even before this summer’s riots, Jews of Sarcelles faced a humiliating run of vandalism, anti-Jewish graffiti, insults, intimidation, and occasionally worse. One shudders to think what would happen if gendarmes bearing automatic weapons didn’t keep the Sarcelles synagogue under constant protection. Needless to say, the Jews of Sarcelles are far more representative of the Jews of France today than my dinner companions. Mostly Sephardi, often working-class, and traditional if not strictly observant in their religious practice, they either do not know or do not care about the previously unwritten rule that one is expected to be quiet about one’s Judaism in public. Besides, even if they wanted to, their many enemies would never let them get away with it. So why deny it? It is for such Jews, as Robert Wistrich’s essay acutely demonstrates, that daily life is becoming a real struggle. To the moribund economy, and the hapless governing class, add the now-frequent episodes of barbaric anti-Jewish violence, and you have a positively toxic brew. And so a more accurate sense of the actual situation than the one at the dinner party came to me from a prominent Parisian rabbi who admitted frankly that there seemed no way to stop the decline in the numbers of French Jews—and he wondered whether it was even worth trying. A large part of his current task, he said, involved nurturing the already strong Zionist impulses of the younger generation, of whom nearly 5,000 are now departing for Israel annually (where, unlike in the case of previous French waves, they seem largely intent on staying). How many Jews lived in Egypt? How many Jews lived in Egypt in the 20th century? Conventional estimates put the numbers at 75, 000 - 80, 000, but there there could have been as many as 100, 000. According to a map produced by Sir Martin Gilbert, there were 89, 525 Egyptian Jews. 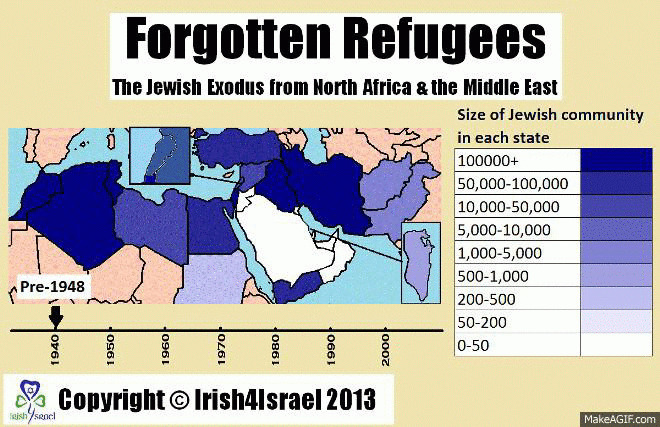 More than 45, 000 fled to Israel. But some academic estimates put the number even higher - at 50, 000. Yoel Rapel's book (Ben-Zvi institute) "Bamahteret Me-Artzot Ha-Islam" says on page 158: "In 1948-1950, 14, 299 Jews from Egypt immigrated to Israel". Eliyahu Brakha's book "Waves of my Life" - Brakha worked in Egypt for the Mossad in 1951 - features a letter from Shimon Peres, thanking Eliyahu Brakha for his successful mission. 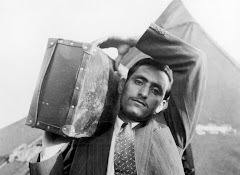 Brakha smuggled more than 13, 000 Jews out of Egypt (most with a temporary Spanish visa he managed to obtain), when Jews were forbidden to leave Egypt, unless they were expelled. 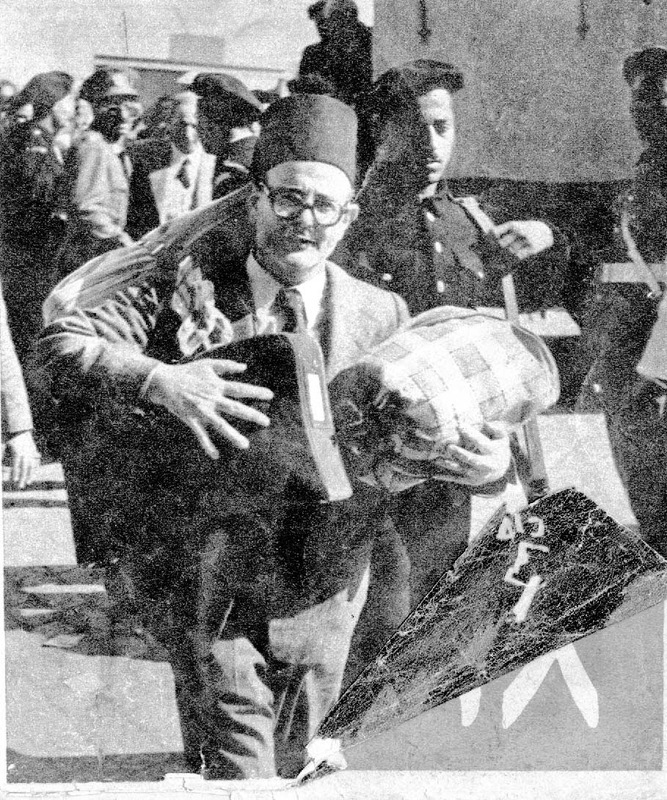 Michael Laskier's book "The Jews of Egypt 1920-1970" says on page 267: "From November 1956 to 31 October 1957, Israel admitted nearly 13, 500 Egyptian refugees via European airports." All this makes a total of 40,799. There were many other waves of Aliyah (immigration): between 1967-1970 more than 10, 000 came to Israel. That implies that more than 50, 000 Jews from Egypt made Aliya. This number is corroborated by other research: France absorbed 10, 000 Egyptian Jews (according to Dr. Racheline Barda's research - Australia), the USA 10, 000 - Brazil 10, 000 - Australia 2,000 - England 5, 000 - other European countries (Italy, Belgium etc): some 8, 000 or more. All in all, some 95, 000 Jews were living in Egypt at the time (or perhaps 100, 000 - because Jewish births were not registered with the Ministry of Interior, but with the religious authorities (Rabbanut). These communal registers are today out of reach. From the 22,000 claims lodged at the Israeli Ministry of Justice, 7, 000 are from Egyptian Jewish families: this represents at least 35, 000 persons, and we know that fewer than 50% of families presented their claims. But this year, amid the music and revelry in the northern town of Yokne’am, an unshakable sense of worry permeated the atmosphere and conversations. In speeches and in private chats around bowls of steaming Kubbeh soup, Israel’s Kurds expressed anger and concern over the plight of their Kurdish brethren fighting against the Islamic State in Syria and Iraq. “If you send me, I’ll go to the Kurds to fight Daesh,” said old-timer Yossi Mizrahi with a smile, using the Arabic name for IS. “I’d go tomorrow,” promised Mizrahi, born in the town of Sanandaj in Iranian Kurdistan. Turkey sees the main Syrian Kurdish group, the PYD — and its military wing, which is fighting IS militants — as an extension of the PKK, which has waged a 30-year insurgency in Turkey and is designated a terror group by the US and NATO. Aharon (who asked that his last name be withheld), born in Mosul, Iraq, more than 80 years ago, travels to Kurdistan regularly for business. He speaks with his contacts there every two days, and recently helped arrange a Kurdish agricultural delegation to Israel. 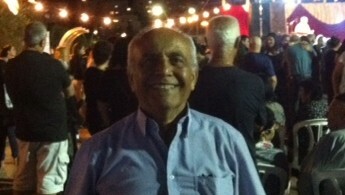 Haviv Saidoff from Karkur, a former Bank Leumi clerk, came to Jerusalem from the city of Duhok in 1939. He is in touch with an Armenian woman back in Kurdistan, who sends him regular updates on the fighting in the area. They communicate in Aramaic, but she writes the language in Arabic script, while he writes in Hebrew. “So we write Aramaic in English letters. We wrote about three days ago…. She sends us pictures, all sorts of things. Some attending the festival even have family in the eye of the storm in Syria. Sima Levy, dressed in traditional Kurdish garb, came to Israel from Qamishli in 1962 at the age of 18. But she left an older sister behind. She stayed in touch with her sister, who moved with her family to Aleppo, meeting with her in Jordan and Turkey, and sending her money. Mizrahi radicals like Rachel Shabi who see Jews from Arab countries ('Arab Jews') as victims of Zionism - together with Arabs - are disciples of postcolonialism (the West against the Rest): But Lyn Julius, writing in Fathom magazine (Autumn 2014), says Shabi's thinking is stale and outdated. The indigenous Jews of the Middle East ought to be at the heart of a new paradigm: the Islamists against the Rest. In the 1930s, Jews from Palestine smuggled date palms out of Iraq and planted them in what became Israel. Supposedly, they never bore fruit as delicious as the original, magnificent, Iraqi dates. As with the dates, so with the people, if we are to believe Rachel Shabi. For the author of Not the Enemy: Israel’s Jews from Arab Lands the Jews of the Orient, or Mizrahim ‘did not grow right’ in their new land. Shabi, the Israeli-born daughter of Iraqi Jews who settled in England, where she was brought up, has become one of the leading figures of a new post-Zionism since the publication of her book in 2009. She is part of a small group of activists and academics from Arab lands who have, with the encouragement of leftists outside Israel, managed to make the word ‘Mizrahi’ synonymous with ‘discrimination by the Ashkenazi (Jews from Eastern Europe) elite,’ while denying, or, at best, minimising, the discrimination experienced by the Jews in Arab lands as an ‘understandable’ backlash to the unjust creation of Israel. Shabi and her colleagues think the Mizrahim have been torn away from their Arab brethren by Zionism, which has prevented them from making common cause with the Palestinians. She aligns herself with anti-Zionists who argue on behalf of an ‘Arab-Jewish’ identity as a way of repudiating Jewish nationalism. She presupposes that Jews were just another faith group in the Arab world, that Arabs and Mizrahi Jews are natural allies, and that both are postcolonial victims of the Ashkenazim, who, she posits, lured Mizrahim to Israel under false pretences as a reservoir of cheap labour. Rachel Shabi is not alone. The Moroccan-born poet Sami Shalom Chetrit and the sociologist of Iraqi-Jewish descent Yehouda Shenhav founded the Mizrahi Democratic Rainbow Coalition in 1996 to challenge Ashkenazi hegemony in Israeli society. Sami Michael, a popular author now in his 80s, is among a number of Jewish communists from Arab countries who continue to inveigh against Israeli ‘racism’. Other activists include Oren Yiftachel and Smadar Lavie. The poverty and slum deprivation among Jewish immigrants from North Africa who arrived in Israel was real enough; it spawned Israel’s own Black Panther movement in the 1970s. Menachem Begin’s Likud government was elected in 1977 on a wave of Mizrahi support, breaking the Labour Party’s monopoly over Israeli politics. Few of the Black Panthers were anti-Zionists, but Shabi uses their emergence as a weapon to undermine Zionism itself. However, Shabi’s concept of ‘Arab-Jewish identity,’ and her rosy history are predicated on several fallacies. First, postcolonialism fails to take account of Jews who were, until their 20th century exodus, indigenous to the Middle East and North Africa, predating the Arab Muslim conquest. Moreover, postcolonialism cannot admit that the relationship between Muslim rulers and their subservient Jews and Christians resembled that between colonisers and colonised. These minorities accepted a precarious, inferior, and frequently wretched, status as the price of survival, ‘bought’ with a special tax. Middle Eastern communities coexisted alongside each other, but rarely intermarried. Jews never considered themselves Arabs. Arabs did not consider them Arabs either. The ‘Arab Jew’ school of thought is a recent development. Interestingly, few intellectuals who glory in the label ‘Arab Jew’, were born in Arab countries, speak Arabic as their mother tongue, or lived in Arab countries for any length of time. Second, discrimination in Israel was more a function of class than ethnicity. Shabi fails to distinguish between the readily employable immigrants of Iraq and Egypt – many highly educated, courtesy of the Alliance Israelite Universelle schools network – and, on the other hand, illiterate Jews, perhaps from the Kurdish and Atlas mountains, who had never seen a flush toilet. Third, in its zeal to take the galut (Diaspora) out of the Jew, Israel was equally hostile to the Yiddish culture of Eastern European Jews. Yiddish theatre was proscribed and Israelis discouraged from speaking their mammaloshen (mother tongue). ‘That language grates on my ears,’ said David Ben-Gurion. Fourth, many charges of early cultural discrimination no longer hold true in 21st century Israel. Mizrahi food culture has eclipsed kreplach, kugel or lochshen pudding on Israeli restaurant menus, while ‘Mizrahi’ music is the staple popular culture. In the first decades of the state, Israel’s leadership decided what was good for the people, from television to the Beatles. With values infinitely preferable to Levantine corruption, extortion and lack of freedom, Israel boasted it was an outpost of Europe: an argument that has been turned against it by its enemies to considerable effect. Although it was then a struggling developing country, Israel took in the stateless, the destitute, the sick and the elderly – because they were Jews. Shabi’s curmudgeonly focus on discrimination obscures just how far Israel has come. Today Mizrahim are generals, doctors, property developers, bank managers, and have held every government post except prime minister. Most importantly – a hugely significant fact that Shabi simply glosses over – intermarriage is running at 25 per cent and the mixed Israeli family is fast becoming the norm. Soon there will be no such thing as Mizrahi or Ashkenazi in the Israeli melting pot. None of this means the fight for equality has been won. Meyrav Wurmser penned a thoughtful essay in 2005, arguing that discrimination was still very real – Sephardim (Jews who fled 15th c. Iberia, mainly for the Muslim world) and Mizrahim remain under-represented in academia and the media, and without doubt still comprise the poorest and most disadvantaged of Jewish Israelis. But anti-Zionism, she insisted, was the wrong cure for the disease. Rather, Mizrahi Jews needed to seek solutions within the framework of an independent Jewish state. Shabi’s nostalgia trip to a world before Zionism leads her up a blind alley. She confuses the interpersonal with the political: good neighbourliness with the (unequal) power relationship between Jews and Arabs. 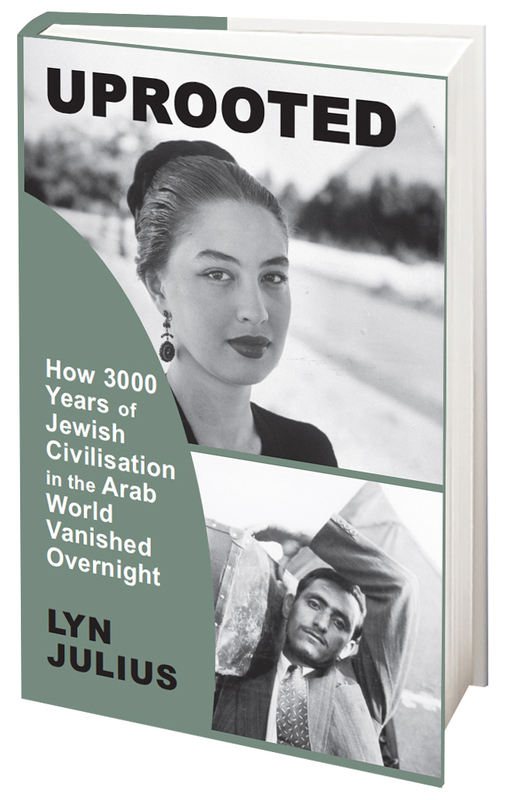 An overlap of culture and language with Arabs over 14 centuries did not protect Mizrahim from pogroms, dispossession and expulsion to the point where fewer than 5,000 Jews live in Arab countries today, out of a 1948 population of one million. This is a lesson lost on some who eagerly espouse Arab-Israeli coexistence projects. A common culture and language did not save the Jews of Iraq, any more than the Jewish contribution to German culture saved German Jews from Nazism. Far from endearing Mizrahim to Palestinians, displacement created a legacy of bitterness and mistrust. Mizrahim are neither able, nor willing, to return to their countries of birth. Shabi’s obsessive focus on Israel’s ‘racism’ towards its Mizrahi Jews distorts the historical record. She portrays the pro-Nazi pogrom in Iraq of 1941 in which 180 – some say up to 600 – Jews were murdered as a mere hiccup in Arab-Jewish coexistence. On the other hand, the refugees being sprayed with disinfectant on arrival in Israel is a ‘visceral memory’. Convinced of the pre-Zionist coexistence idyll in Arab countries, Shabi is at a loss to explain why the vast majority of Mizrahim have ‘hard-right, Arab-hating opinions.’ She sees, Marxist-style, a false consciousness that has been deliberately nurtured by Zionists: ‘After so many years of learning to hate their own rejected Arab features and having to hide them, the Mizrahis simply projected all that revulsion on to the neighbouring Arab community.’ It’s desperately unconvincing stuff. And by whitewashing the past, Shabi has allowed herself to be co-opted into the Palestinian campaign to denigrate Mizrahi rights. 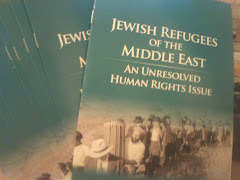 In 2012, when Israel’s Deputy Foreign Minister Danny Ayalon launched a media campaign for justice for Jewish refugees from Arab lands, Shabi – and likeminded intellectuals like Yehouda Shenhav – strenuously denied that these Jews were refugees at all: aggrieved parties should seek justice as individuals, they argued, not as a collective. Of course, Shabi and co. are correct to insist that Mizrahi heritage be preserved and Jewish thinkers, actors, musicians and writers in Arab lands ought to be celebrated. Such is the Jewish world’s eurocentricity, notes David Shasha, who runs the Center for Sephardi Heritage in the US, that only seven books by Mizrahim made it into a recent list of the top 101 ‘Essential Jewish books’. Others, not necessarily anti-Zionists, have lamented the modern Ashkenazi dominance of thought and custom in the practice of religion, and the transformation of orthodox Sephardim, represented politically by the Shas party, into ‘Lithuanian’ black-hats. Jews suffered under Arab rule to the point where they could see no future in their ancient, indigenous communities. Israel, for all its faults, is the place where they regained dignity, freedom, rights and a sense of personal security. Mizrahi radicals refuse to acknowledge this. But if they really want to promote peace and reconciliation, ignoring Arab responsibility for Jewish suffering and idealising the Jewish-Arab past will only alienate the Mizrahi half of Israel’s electorate. By applying the paradigm of Edward Said’s Orientalism to the Mizrahi Jews, Mizrahi radicals deny a political solution to the Mizrahi Jewish question. Reduced to a religious subset of the Arab nation, they become tools of pan-Arabist politics. Their postcolonialism denies that cultural imperialism has ‘Arabised’ an ancient Middle Eastern and North African civilisation. Instead of driving a wedge between western and eastern Jews, the Mizrahi debate in Israel should now centre on the present disastrous predicament of non-Muslims and minority Muslim sects, and to a lesser extent, non-Arabs, in the Middle East. It is the Islamists versus the Rest. More than ever, the plight of minorities validates the existence of a majority- Jewish state able to defend itself and determine its own fate. That’s why Israel is often the envy of other indigenous minorities with unfulfilled aspirations to self-determination – Assyrian Christians, Amazighen (Berbers), Kurds. One of the most outstanding architects of modern Iraq was Sir Sasson Eskell, who served as Minister of Finance in five governments in the 1920s. So influential was he that Saddam Hussein bestowed on him a posthumous award. Here is a biography, compiled by Nissim Benjamin. Sir Sasson Heskell (born 17 March 1860 – died 31 August 1932) was an Iraqi statesman and financier. Also known as Sasson Effendi ( from the Turkish Effendi, a title meaning Lord). Regarded in Iraq as the Father of Parliament, Sir Sasson was the first Minister of Finance in the Kingdom and a permanent member of Parliament until his death. Along with Gertrude Bell and T.E.Lawrence (Lawrence of Arabia), he was instrumental in the creation and the establishment of the Kingdom of Iraq post- Ottoman rule and it was he himself, who founded the nascent Iraqi government’s laws and financial structure. He was knighted by King George V in 1923. King Faisal conferred on him the Civil Rafidain Medal and he won the highest medals from the Shahinshah of Iran and the Sultan of the Ottoman Empire. He also received a number of posthumous decorations among which was one from Saddam Hussain of Iraq! Sir Sasson is a scion of an ancient and distinguished jewish family of affluence in Baghdad the Shlomo David’s. His father Hakham Heskel Ezra Shlomo David travelled to India in 1873 to become the Chief rabbi of the thriving Baghdadi community there. In 1885 he returned to Baghdad as the leading rabbinical authority and a great philanthropist. He built the Hakham Heskell Synagogue which was considered one of the most prominent synagogues in the city. Sir Sasson obtained his primary education in the Alliance Israelite Universelle in Baghdad. In 1877 at the age of 17, he travelled to Constantinople ( Istanbul) to continue his education, accompanied by his maternal uncle Menahem Salih Daniel who was elected deputy for Baghdad in the first Ottoman parliament in 1876 during the reign of Sultan Abdul Hamid the second and later became Senator of the Kingdom of Iraq (1925-1932). Sir Sasson then went to London and Vienna to receive his higher education in economics and law. He was known to be an outstanding student. He finally returned to Istanbul to obtain another law degree. Following his education abroad and fluent in nine languages ( Arabic, English, Persian, Turkish, Hebrew, German, French, Greek and Latin) Sir Sasson returned to Baghdad in 1881 where he was appointed a deputy for the province of Baghdad in which post he remained until 1904. In 1885 he was appointed Foreign Secretary to the Wali ( Governor-General). On the announcement of the new Ottoman constitution in 1908, he was elected deputy for Baghdad in the first Turkish parliament, a position he occupied until the end of the first World War when Iraq was detached from the Ottoman Empire in 1918. In the Ottoman parliament he showed extraordinary tact and ability – he worked as a member of various committees and was chosen as a Chairman of the Budget committee. He was sent to London and Paris on special missions including as a member of an Ottoman delegation to London in 1909 as under-secretary of state for trade and agriculture. In 1920, after the end of the First World War, Sir Sasson returned to Baghdad from Istanbul and was appointed Minister of Finance in the first Iraqi government under the premiership of Abdul Rahman Al Naqib. 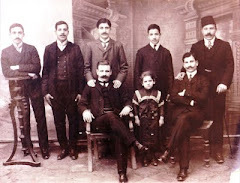 The Council of State of the first Arab government in Mesopotamia since the thirteenth century met on 2 November 1920 along with Sir Sasson as Minister of Finance, Jafar Pasha Al-Askari as Minister of defense and Talib Al Naqib as Minister of Interior. The next step was to choose a King to unite the tribally fractured country. Sir Sasson has already offered his opinions on the matter. To reach a final conclusion on the choice for ruler, Sir Winston Churchill, then British colonial secretary summoned a small group of orientalists to Egypt, for the famous Cairo Conference of March 1921. Representing Iraq were two members of the Council, Sir Sasson Heskell and Jafar Pasha Al Askari. With their approval Emir Faisal was chosen for the throne of Iraq. When Faisal was enthroned as King of Iraq, a new ministry was formed on 1 September 1921 by Prime Minister Abdul Rahman Al Naqib in which Sir Sasson was re-appointed Minister of Finance. He was consequently re-appointed Minister of Finance again in five successive governments until 1925. Gertrude Bell described Sir Sasson as by far the ablest man in the Council, genuine and disinterested to the core – extremely able and enjoying vast experience. During his period as Minister of Finance, Sir Sasson founded all the financial and budgeting structures and laws for the kingdom and looked wholeheartedly after the interests of the monarchy and the proper fulfilment of its laws. Rather famously, one of his most financially prolific deeds for the State was during negotiations with the British Petroleum Company in 1925. Through a pure stroke of genius and foresight, Sir Sasson demanded that Iraq’s oil revenue be remunerated in gold rather the Pound Sterling – at the time this request seemed bizarre since Sterling was backed by the gold standard anyway. Nevertheless his demand was reluctantly accepted. Later this concession proved to be of great benefit to Iraq’s treasury during World War Two when the gold standard was abandoned and the Pound Sterling plummeted. He thus secured countless additional millions of Iraqi dinars for the State. This is something that the Iraqi nation remembers with appreciation and admiration. In 1925 he was elected deputy for Baghdad in the first parliament of the Kingdom and was re-elected to all successive parliaments until his death. In the Iraqi parliament, he was Chairman of the financial committee and was regarded as the Father of Parliament in light of his vast knowledge, depth of experience and his views were accepted whenever a conflict arose concerning enforcement of internal regulations. Sir Sasson died in Paris on 31 August 1932 while undergoing medical treatment. He was buried at the Pere-Lachaise Cemetery on Boulevard de Menilmontant in Paris. On 7 September 1932, a commemorative service was held in Baghdad in his memory. Prime Minister Yasin Al Hashimi published a eulogy in an Arabic daily newspaper in which he praised the late Sir Sasson’s character, culture, outstanding personality, his vast knowledge, his sense of duty and the proper fulfilment of that duty irrespective of the enormity of the sacrifice involved. He said that the stupendous efforts which had been exerted by the deceased in regulating and establishing on a solid footing the affairs of the Kingdom will be remembered by future generations. All leading Arabic daily newspapers similarly eulogised the late Sir Sasson’s character and achievements and all agreed that his death was an irreparable loss to the nation of Iraq. If you strip away the rather tiresome leftist narrative that Israel's western establishment despised and undervalued the contribution of Jewish musicians to Maghrebi culture, driving a wedge between Jews and Arabs, this article by Ophir Touboul in +972 is a tribute to the stars of yesteryear and has some interesting clips. Bottom line: the work of Moroccan Jewish musicians and singers is undergoing a revival in Israel today. The following clip is the only one I could find from the film on YouTube. We see Reinette arguing with her pianist, Mustafa Sakandari, on the length of the Istikbar – the introduction to the piece. In the subtitles, the word Istikbar is translated as “she refused,” because really, what are the chances that an Israeli translator will recognize and identify a common introduction that appears in every North African folk song. The 2012 film Al Gusto attempted to create a “Buena Vista” for Algerian musicians. Director Safinez Bousbia walked through the Casbah in Algiers and the streets of Oran looking for the big musicians of the 1950s, when the Sha’abi genre was at its peak popularity in the cafes and hair salons in Algeria’s major cities. She collected them, one by one, including the Jewish ones who were uprooted from Algeria, in an attempt to establish the Al Gusto orchestra. The film follows the new-old orchestra’s tour, which continues across the globe today. Jewish artists such as René Perez, Luke Sharqi and Maurice el Medioni appear in the film, among others. This film was also screened only a few times in Israel, but never made any big waves. One can find the orchestra’s full concert on YouTube, and clearly see the respect given to the Jewish singers. A singer like Salim Halali, who was one of the great Jewish singers of North Africa, has a message that goes beyond his beautiful music, a deep message that resonates even today – on the future and the different possibilities that lay before us. Through his complex identity, Halali showed that it was possible for Jews and Arabs to live together, as well as someone who respects and follows religious traditions on the one hand, and a secular Westerner on the other hand. His style blurred the lines between masculinity and femininity, and his music showed how Arab and North African music, tango, flamenco and Jewish Ashkenazi music could live side by side in peace. This item from Arutz Sheva caught my eye because the descendants of those Jews expelled from 100 homes in the Eshel Avraham neighbourhood in East Jerusalem in 1929 still retained their title deeds until April of this year, when they decided to sell the properties. Whether you agree or not with the efforts of the Israel Land Fund to 'retain Jewish control' over the property, is another matter. Arieh King, Jerusalem councilman and director of the Israel Land Fund, told Arutz Sheva about the struggle he has been engaged in over the last year to keep a block of buildings in the "Eshel Avraham" Georgian neighborhood area of eastern Jerusalem in Jewish hands. 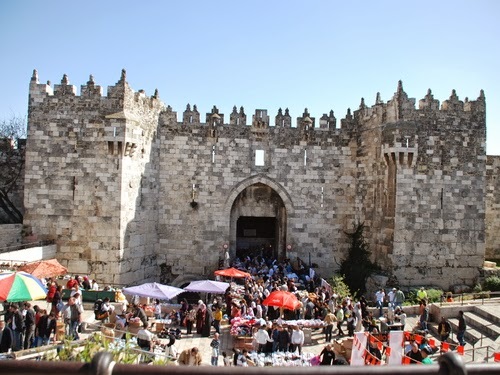 The site in question consists of a dunam of property, and three homes spread over 800 meters in the neighborhood located opposite the Damascus Gate to the north of the Old City on Hanevi'im Street. The neighborhood was established in 1892 by Jews who immigrated from Georgia and held 100 homes for affluent families - and later violently occupied by Arabs in the 1929 riots that killed seven local Jews and destroyed homes and synagogues in the neighborhood. In April, around the Jewish holiday of Pesach (Passover), the Jewish families in France who still hold the rights to the block decided to sell it for roughly 11 million shekels (nearly $3 million) and turned to a real estate agency to help them in doing so. The agency owner suggested the site to King, who found a buyer from America interested in purchasing the property. However, a few days later, roughly 10% of the property was sold to an Arab family despite the fact that the American buyer had "shaken hands" on the deal. Now King is trying to facilitate the purchase of the rest of the property, and fears outside influences and shady money may endanger the chances of keeping the property in Jewish hands. In recent days, one of the owners agreed to sell 50% of the property in his possession, and currently both sides are engaged in negotiations. Asked whether the whole issue is a matter of money, King told Arutz Sheva "yes and no, we don't want the owners to take a loss and are even willing to pay him 10% more; on the other hand, we don't want Jews to take advantage of the situation and try to extort us." "The main thing is to leave the property in Jewish hands," stated King. "Jews were slaughtered there less than 100 years ago by an Arab mob; the place must not be transferred to Arab control." Now, it’s not unusual for the London team Tottenham Hotspur, with a Jewish fan base, to call themselves, not without pride, the ‘Yid army’. Ajax of Amsterdam, a city once known as the Jerusalem of Holland for its many Jewish residents, are still taunted as a Jewish team. But the Fez football team ? A city in an overwhelmingly Muslim country, where Jews are almost extinct? Fez conceals a secret not apparent to its many visitors: it is home to a mysterious population of Moroccan marranos. Conventional wisdom has it that marranos - a pejorative term to describe converted Jews who continued to practise their religion in private – are a phenomenon exclusive to medieval Catholic Spain. In fact, there were Judaeo-Muslim marranos in Morocco: hundreds of thousands of their descendants still live in a limbo world, identifying neither as Jews nor accepted as fully-fledged Muslims. Conventional wisdom also has it that fundamentalism in Islam is a ‘passing phase’. According to Sorbonne professor Paul Fenton, however, the fundamentalist rule of the Almohades, originating in southern Morocco, lasted over a century – from 1130 to 1269. Hardly a flash in the pan. The Almohades conquered Fez, Marrakesh and finally Cordoba in southern Spain, burning Jewish books and destroying synagogues in their wake. Christianity died out altogether, and to all intents and purposes, Morocco became judenrein as Jews converted en masse to Islam rather than be put to death for apostasy. But some Jews literally went underground – living in caves – in order to keep practising their religion. The most famous Jewish 'convert' to Islam was Maimonides himself. A realist and rationalist, he consoled distraught Jewish converts that they were doing the right thing, with the doctrine that human life is to take precedence over law in 610 cases out of 613. This was in direct contradiction to Muslim theology, which held that death for one’s religion was the supreme value. Maimonides fled the Almohad invasion of his native Cordoba for Morocco, but was forced to leave for Eretz Israel and Egypt when he was denounced for reverting to Judaism. Maimonides eventually became private physician to the Viceroy of Ayyubid Egypt. Professor Fenton believes that it was less a sign that Jews could attain the very highest office under Muslim rule. Rather, the community at large were hostages to these Jews’ good behaviour: Jews could be trusted not to poison or betray their masters. Otherwise, they risked unleashing a massacre of their co-religionists. 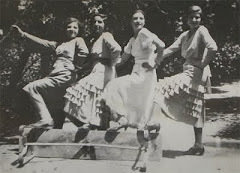 Many Jews fled Spain for Morocco because there they would be unknown, less easy to persecute and not subject to close supervision. Nevertheless, an Inquisition operated there. Even Jewish converts suffered various disabilities and vexations: they were only allowed to practise certain trades, could not marry off their daughters to ‘real’ Muslims, had to wear the special headgear and black garments reserved for Jews, with absurdly long sleeves and worn ‘off the shoulder’. This custom persisted into the 20th century. The Merinids, who succeeded the Almohades, allowed secret Jews to practise openly once again. However, a fair proportion of converts remained Muslim and moved out of the Jewish quarter, or Mellah, for the Medina. A number became successful businessmen with access to the kissaria, or covered market, selling silks and fine fabrics. But their business rivals, the Sharifians, who claimed descent from Muhammad, accused the crypto-Jews (also known as beldiyyin ) of pretending to practise Islam. In 1468, they forbade ‘Jews and dogs’ from accessing the precincts of the Shurafa mosque, built to house the body of their ancestor Idris. They had the beldiyyin expelled from the kissaria. The struggle between the Sharifians and the beldiyyin, whose shops and clothing had to carry distinguishing markings, would last until the 19th century. With every famine, more Jews would convert to Islam in order to qualify for sedaka, the corn reserves held by the religious authority, or Wakf. Gradually, Fez, in the centre of the country and most vulnerable to drought, was emptied of Jews. As late as 1912, when 12, 000 Jews were left homeless as a result of the Fez massacre, still more Jews in fear of their lives converted to Islam. The beldiyyin retained business contacts with the Jews of the Mellah and ‘subterranean’ religious links. Thus they would call on a mohel or rabbi to perform a circumcision. A Bildi bride would receive a perforated piece of wood to encourage her to prepare kosher meat in the traditional style. There could be 100, 000 beldiyyin still living in Morocco today, whose facial features, surnames (Zicri, Choukroun, Benzaken, Al-Banani, Miyara, etc), accents and dialects betray their Jewish origins. The community survived largely intact because they married among themselves (monogamously). Many are prominent in law or Moroccan intellectual life today. 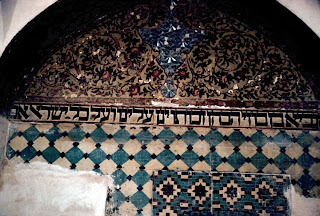 Unlike the Mashadi Jews of Persia or the Chala converts of Bukhara, who remained in or next to their Jewish quarters, cases of beldiyyin reverting to Judaism are rare. But local consciousness of a Jewish past is never very far beneath the surface. Just go and see the Fez team play a football match. It’s been a good autumn for human artifacts in the civilized world. It’s been a very bad autumn for human artifacts in the uncivilized world. (Oh what a fall was there . 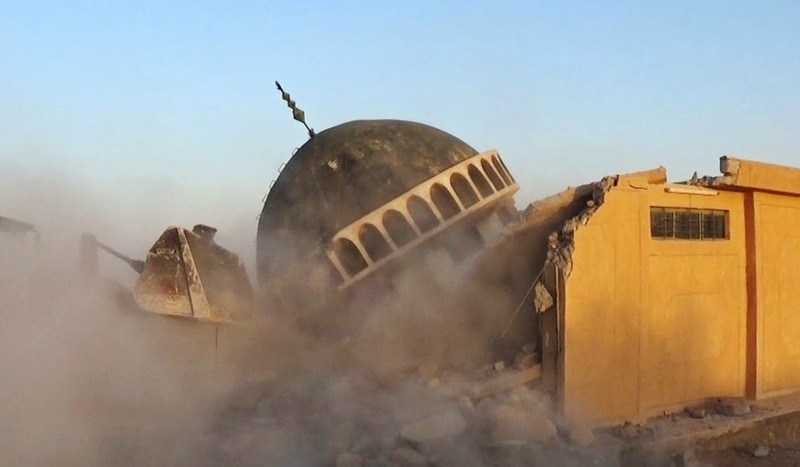 . .) As the New York Times reports, the Islamic State, and friends, “are deliberately wrecking shrines, statues, mosques, tombs and churches — anything they regard as idolatry.” Shrines, etc., which range in age from very old to ancient. In the Near East, ancient history is thick on the ground. But wanton destruction of ancient history hasn’t been confined to Iraq or Syria. In 2001, two 2,500-year-old monumental Buddhas in Afghanistan were blown to bits by the Taliban. Last year, a 3,000-year-old Philistine harbor was bulldozed by Hamas to expand a training ground for its al-Qassam terror brigade. As of last year, according to the U.K. Independent, “Islam’s most holy relics are being demolished in Mecca,” in order to transform the “dusty desert pilgrimage town into a gleaming metropolis of skyscrapers.” This a theme in the wild wild east, and not a new one. When the Arab Legion occupied Jerusalem in 1948, the Great Hurva Synagogue was mined and destroyed, along with 57 other Jewish shrines and libraries. An ancient Jewish cemetery was ransacked, paved over, and turned into a parking lot; its grave-markers were used by Palestinians to build latrines. Civilized people were shocked this summer when they heard that mosques in Gaza were being used to store munitions. It may have been shocking, but it had precedent. The Parthenon — the greatest ruin on Athens’s Acropolis — was ruined quite recently (in Greek terms). When the Ottomans captured Athens in the 15th century, the intact, 2,000-year old Parthenon was turned into a mosque. The mosque doubled as a munitions depot. During a war with the Venetian Empire, the Parthenon-Mosque-arsenal caught fire and exploded. The practice of one religion usurping another’s holy places isn’t new. The Parthenon also did service as a church, and the Hagia Sofia mosque-museum, such as it is, was once the greatest church in Christendom. The Dome of the Rock and the al-Aqsa Mosque are built on the ruins of the Jewish Temple, the holiest site in Judaism. The second holiest site in Judaism, the Cave of the Patriarchs, is marked with a stone basilica built by ancient Israel in the time of Jesus. Now it’s a mosque too. Jews are banned from conducting religious activities at the Cave and the Temple Mount, although they’re both in Israel. As a gesture of goodwill to the Muslim world, Israel handed control of both to Jordan’s Waqf religious authority. Needless to say, no goodwill has been forthcoming. Recent Muslim construction on, and inside of, the Temple Mount has destroyed structures that are older than Islam. When Israel dared include its Cave of the Patriarchs on a list of its heritage sites, there was international outrage – the incensed U.N. described the Cave as “an integral part of the occupied Palestinian Territories.” Evidently the U.N.’s gaze has not fallen on Saudi Arabia, which (according to Washington’s Gulf Institute) has used the last 20 years to demolish 95 percent of Mecca’s thousand-year-old buildings. For the powers-that-be in the Near East’s theocratic tyrannies, history — their own, and other people’s — is a bargaining chip, and nothing more. But to the civilized world, these chunks of history — Christian, Jewish, Muslim, Buddhist, and pagan –are immensely valuable. Israel lets despots defile its most cherished treasures because it’s willing to pay a very high price for peace. Since no peace is forthcoming, it might be time for a policy change. Since no peace is forthcoming in Islamic State territory either, it might be time for some new policy there as well. As the Nazis started to lose the war and withdraw to Germany, we did what we could to keep them from destroying Europe’s art. Maybe we can contain the Islamic State, but the territory we contain them on will have its history erased along with its people. We ought to save the people, and remember that there’s more history there than anywhere else. According to Professor Amlan Dasgupta from Jadavpur University, the realities of daily life are very different from the politics being played out, especially in Kolkata, which has always welcomed immigrants. The city, he said, "is a product of the resulting multiethnicity and multiculturalism". "Communal coexistence has been common across India and hence we don't think of it as important. Yet, there is also a problem in becoming conscious about it," Dasgupta told Al Jazeera. His students collaborated in the creation of the digital archive. According to Silliman, the Jews and Muslims have a common history because of their roots in the Middle East. "In Kolkata, Jewish families hired Muslim cooks because they ate only halal meat. Hindu families would not want to work in Jewish homes because of the meat being cooked. Our music, food habits are also very similar and people tend to forget that the Arab world is the seat of the Jewish community. Even the early immigrants looked like present-day Arabs, before they began to reflect a Judeo-British identity," she said. It is no wonder then that the Jewish Girls' School's students are mostly Muslim. According to Silliman, the area around the Jewish Girls' School, in its original location on Pollock Street, was where the affluent Jews once lived. Today, the only remnant of a Jewish heritage in the school is the "Star of David" on the school uniforms, and having holidays on three Jewish festival days. The Jews in Kolkata came from Baghdad about 220 years ago, and established themselves as successful businessmen. They were also major exporters of opium. The Beth El synagogue was built in 1856 on Pollock Street to meet the needs of, at the time, a rapidly expanding community. Its construction was funded by two of the wealthiest men in the community - Ezekiel Judah and David Joseph Ezra. In the 1940s, Kolkata's Jews began to leave because of the violence preceding the partition of the country into India and Pakistan. Fearing the loss of their businesses as India began to nationalise its banks after independence, they emigrated to western countries in large numbers. 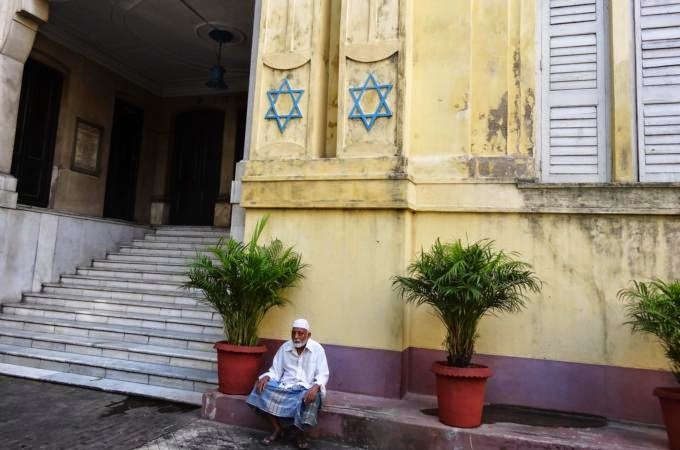 Today, there are just about 20 Jews left in Kolkata - the oldest resident died last month at the age of 97. 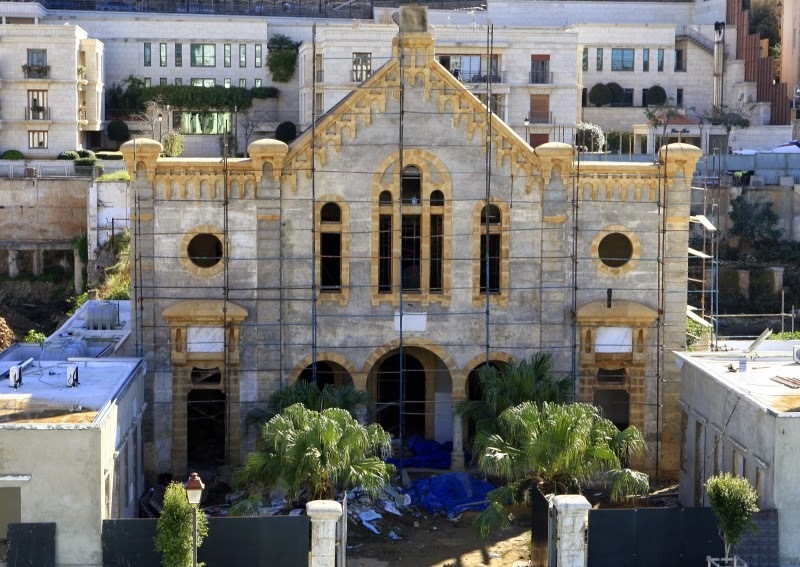 It was in 2008 that Isaac Arazi, the leader of Lebanon’s Jewish Community Council, first initiated a project to restore the synagogue. The Lebanese Jewish diaspora -- including the Safras, a prominent banking family -- led the fundraising drive. Non-Jewish Lebanese also made contributions. Solidere SAL, a real estate firm set up by the Hariris, a Sunni family prominently involved in politics, pledged $150,000, an amount it also offered to other religious groups restoring places of worship in the area. In total, the restoration cost between $4 million and $5 million. Maghen Abraham’s restoration comes at a time when Lebanon has seen an uptick in sectarian tensions that have worried people from all sects. The Islamic State of Iraq and al-Sham (ISIS), an extremist group that denies the legitimacy of present-day borders separating states in the region and is opposed to all forms of religious pluralism, has recently made inroads into Lebanon, the Arab world’s most diverse country. In August, ISIS overran the northeastern Sunni border town of Arsal; in response, the Lebanese army attacked the area in order to push out the group. Thirty-five officers were kidnapped in the ensuing clashes, and ISIS has since beheaded two. The reopening of Maghen Abraham is thus a much-needed reminder of religious coexistence. The symbolism transcends the precarious status of Lebanon’s small Jewish population. “When you have Daesh [ISIS] cutting off heads, Lebanon is fixing synagogues. . . . This is not something to be understated,” said Moukheiber. 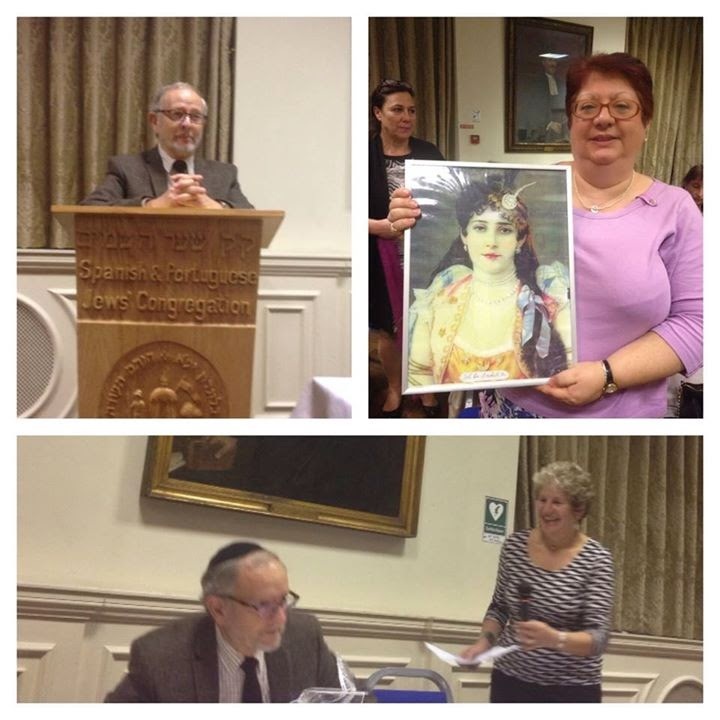 Charly Zarur, the grandson of Miriam and Elias, echoed his views. He said the reopening of the synagogue is above all about reviving the spirit of brotherhood among Lebanon’s Muslims, Christians, and Jews. Although the Jewish community is a long-standing part of Lebanon’s history -- Judaism is one of 18 sects officially recognized in the national constitution -- it has been missing from the collective consciousness in recent decades. Indeed, given that most of the Lebanese population was born after 1975, few Lebanese Christians or Muslims today even have memories of coexistence with Jews. Some Lebanese have argued that the opening of the synagogue might widen their understanding of the country’s pluralism. “It will remind everyone, including legislators, that when dealing with various communities living in Lebanon, there are not only Christians and Muslims . . . but Christians, Muslims, Jews, and others,” said Moukheiber. But Zarur also cautioned that, contrary to the claims made by Arazi, it’s unrealistic to expect the opening of the synagogue to inspire a revival of the Jewish community to its former strength: “If at some point Israel and Lebanon establish relations, it is possible. But not until then.” Although there are four other synagogues scattered across Lebanon -- in Bhamdoun, Deir al Qamar, Sidon, and Tripoli -- all are derelict or have been closed for decades. There is little prospect that any will open anytime soon. Moreover, those in Lebanon’s existing Jewish community have become accustomed to keeping a low profile, often concealing their names and religion in order to avoid ostracism or hostility. The Lebanese government has also rarely made it a priority to reach out to Lebanese Jews. Nabil de Freige, the member of parliament elected to the one seat earmarked for “minorities” -- which includes six Christian sects and the Jewish community -- conceded in a 2011 interview that he was unable to locate a single Lebanese Jewish representative. The community is afforded similar rights as other citizens but in official records is referred to as the Ta’ifiya al Israiliya -- the Israeli community. The term predates the founding of the state of Israel in 1948 and is a holdover from the French mandate period. Hoping to make clear the distinction between Lebanese Jews and Israelis, then Minister of Interior Ziyad Baroud proposed a draft law in 2009 to affirm their rights and distinguish them from the “subjects of an occupying entity.” The proposal never became law. The Jewish community does have an official mukhtar -- a traditional village leader appointed by the community -- but even he is not a member of the Jewish faith. 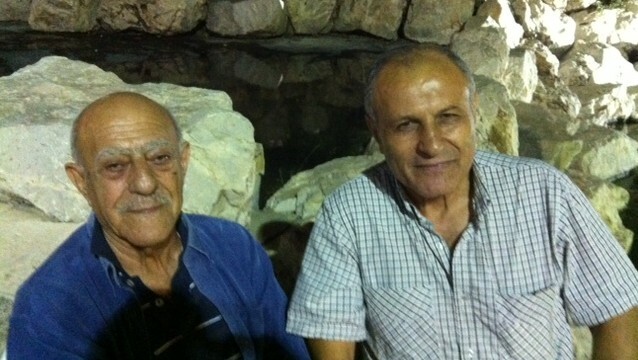 The last Jewish mukhtar left Lebanon in 1978, and a Muslim by the name of Bassem al-Hout now holds the post. Hout, who inherited the job from his father, grew up among Lebanese Jews and handles the legal aspects of births, marriages, and deaths for what remains of the community. He declined to comment on specific individuals, upholding their privacy and decision to maintain a low profile. Moreover, members of the community -- like all other Lebanese -- who wish to enter the synagogue will face onerous security measures. The residence of Saad Hariri, head of the March 14–affiliated Future Movement and son of slain former Prime Minister Rafiq Hariri, is adjacent to Maghen Abraham. Armed officers and steel barricades surround the entry points to the site; only those who possess special permits are allowed to pass. Yet Lebanese Jews still emphasize that Lebanon is a place of relative tolerance. 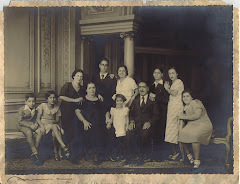 About 2,000 Lebanese Jewish émigrés and their descendants enter and exit the country yearly, and they recall fond memories of life in Beirut. 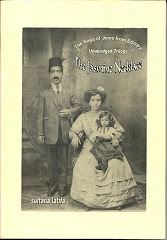 As Zarur pointed out, despite the administrative issues and political sensitivities related to addressing the needs of Lebanon’s tiny Jewish population, Lebanese Jews have coexisted with Muslims and Christians for centuries. In the case of his family -- and like many Levantine Jews -- the lands that now make up the states of Lebanon and Syria long ago offered them safe haven after the Spanish Inquisition expelled all Jews from that country in 1492. What is more, Zarur added, if countries such as Spain can offer a path to citizenship for the descendants of Jews expelled over 500 years ago, then there is still hope that Lebanon might similarly open its arms in the future. “Maybe a generation is all it will take for us to return,” he joked. But until then, the restoration of Maghen Abraham, no matter when it finally reopens, will have to suffice as a symbolic gesture. "The Jews were important constituents of Iraq, they participated in every facet of Iraqi society. At the end, the Jews of Iraq did not lose Iraq, Iraq is still with them- in their hearts. But Iraq lost the Jews and I think they are suffering from it now." Smiling at me from across his dining table, Emile Cohen serves the most important reason for understanding the Jewish Iraqi experience. Last summer's Gaza war and the ongoing situation with ISIS in Iraq/Syria- means we are in a period of profound regional transformation, some of which, threatens the existence of minorities in the Middle East. One minority has already been largely eliminated form the Arab World and that is the Jewish minority. 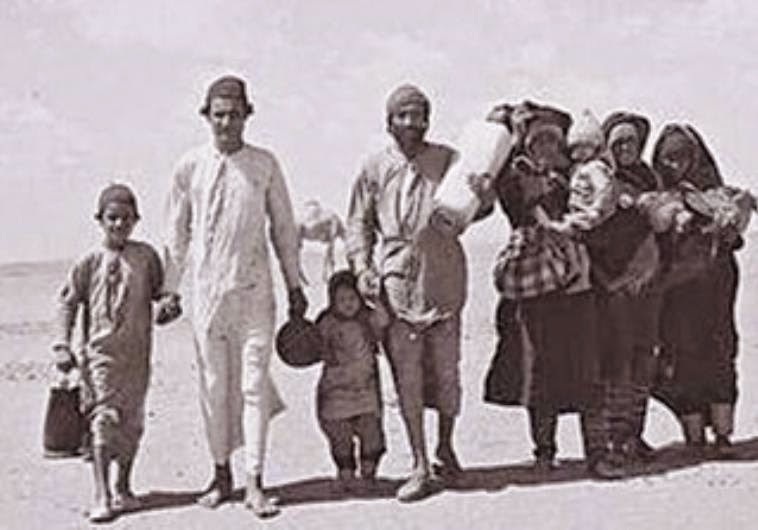 The expulsion/pressured removal of Jews from Arab lands took places during the last great regional transformation, which was in the 1950's and 60's during the European decolonization. Places like Iraq had been home to a Jewish community for over 2, 600 years, "Most of the prophets, Jewish prophets, were buried in Iraq. There are more prophets in Iraq than Israel, Iraq is more of a holy land, if you like, than Israel." Emile proudly told me. But mingled with his pride, was a sense of great loss and sadness. Born in 1943, Emile attended a mixed Jewish, Christian and Muslim primary school and didn't feel different from the other boys. Only upon entering a Jewish secondary school did he begin to identify more with his Jewishness. Jews were classed as 'People of the Book' by Islam, but under Ottoman rule were made to pay a special protection tax to the Ottoman authorities. The special tax applied to all non-Muslims subjects and exempted them from military service, which was theoretically compulsory for all Muslim men. Many Jews from Arab countries told me about the discriminatory laws in the Arab world, which rendered them Second-Class citizens and many tied it into a universal narrative about Jewish suffering, not too different from the European Jewish experience. However, Emile strongly disagreed with this assertion and while he acknowledges discrimination did exist, he found the comparison with the Jewish experience in Europe quite perverse. "We do not compare that (what happened to us) with what happened in Europe. Nowhere near. Not just the Holocaust, but even the pogroms (anti-Jewish riots) that took place in Russia, Poland and all these places. They cannot be compared." In 1941, Baghdad saw an outbreak of anti-Jewish feeling and it led to an anti-Semitic riot and many Jewish businesses were destroyed. Some people called this incident an Iraqi pogrom or even the Arab version of the Kristallnacht, Emile asserted that it was a 'kind of pogrom', but nothing comparable to the pogroms of Europe. He cited that while many people died, it was not on the scale of Europe and that it was a result of a break-down in-law and order, no government and the British authority, who ruled Iraq, lack of interest in preventing rioters. Interestingly, he traces back the rise of anti-Semitic tensions to the late 1930's and not to historical 'ancient hatred' that characterized European anti-Semitism. "We had a problem with pan-Arab nationalism, because they could not differentiate a Jew from a Zionist (A glib explanation: Jews were not the only victims, eg Kurds, Assyrian Christians - ed) ." But unlike in Europe, no Holocaust took place in Arab lands, "The people of Iraq were not like that." Emile went on to describe what Jewish life was like in Iraq, the food, the language and especially the music. Many of Iraq's great musicians were Jewish, but nobody knew that they were Jewish and nobody really cared. Emile was officially de-naturalized from Iraq, while living and studying in England in the 1960's. Iraq came under Ba'athist rule and the antagonism towards Israel, saw many Arab countries turning against their Jewish communities. In the end, they were forced to leave or were physically expelled and they took with them 2, 600 years worth of culture and tradition. My comment: Emile is correct that antisemitism in the Muslim world was not on the scale of what Jews experienced in Europe, but that does not mean that Arabs/Muslims were more tolerant. When they did strike, pogroms were every bit as lethal. The Farhud was not 'a kind of pogrom' - it was a pogrom, and more Jews died on 1st and 2nd June 1941 in Baghdad than during Kristallnacht. Emile tends to minimise anti-Jewish hostility in Iraq, but admits he himself experienced state-sanctioned discrimination, having been stripped of his nationality while a student in England. He never lived through the period of Ba'athist terror at the end of the 1960s. The streets are plastered with signs that read: 'Death to the Jews!" but there is no word as to the fate of the 70-odd Jews living in a guarded compound in Sana'a. Despite pronouncements by their leader that they would never leave Yemen, the arrival in the capital of the Jews' erstwhile persecutors, the Shi'a Houthis, is a clear signal that staying on in Yemen is not a option. Let's hope that the last Jews have joined the mass exodus. Sana’a, Asharq Al-Awsat—Ongoing violations by Houthi rebels currently in control of much of Sana’a have prompted a mass exodus from the capital, with many civilians traveling abroad or to other cities during Eid Al-Adha, sources told Asharq Al-Awsat. The recent takeover of most state buildings and the reported looting of hundreds of homes by Houthi insurgents have prompted civilians to leave the capital for fear of further violations, with the Sana’a International Airport becoming packed with travelers, a local source speaking on the condition of anonymity told Asharq Al-Awsat. The Shi’ite group has also stormed homes belonging to journalists, including that of the editor-in-chief of the Al-Qadiya newspaper and the former general manager of the Yemen TV channel, Abdul Ghani Al-Shmeiri, the source maintained. The Houthis have taken almost full control of government facilities in the capital, including the airport, central bank and the headquarters of the Ministry of Defense. The group’s militias, known as People’s Committees, are carrying out patrols across the streets of the capital, in the absence of official police forces. The group took control of the capital amid sporadic violence in late September, following a month of protests by thousands of its members, who built and occupied protest camps across Sana’a to demand the resignation of the government and the restoration of fuel subsidies, recently cut as part of an economic reform package. Richard Silverstein, who runs an anti-Zionist site, has been having a field day today recycling the allegations that Israel exposed in the 1950s children with ringworm to life-threatening radiation. The allegations were contained in a film made by two Sephardi Jews in 2004 but resurface from time to time. Not only does Silverstein charge that Israel killed 'tens of thousands' of 'inferior', scalp-infested Jewish children from North Africa as well as Palestinians, but he lumps both groups together as 'Arab', thus irritating a number of Mizrahi commenters . The massive doses were administered by the shadowy Doctor Sheba in a campaign sinisterly reminiscent of Nazi eugenics.
" There are a number of readers who are either confused or reading this post sloppily, including the headline. To clarify: there is a link to a Jonathan Cook piece at the end of this post which notes that the State of Israel irradiated both Arab Jewish and Palestinian children for ringworm. Hence the title of this post which uses the inclusive term, “Arab,” by which I include both Jewish and Palestinian children. There are also those who claim that radiation was a standard treatment for ringworm inside and outside Israel in the 1950s. This too misconstrues the argument put forward in the film and here. 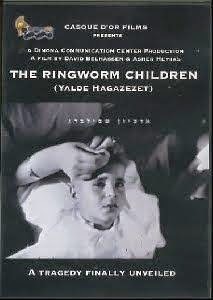 While radiation may’ve been considered suitable for ringworm in that era, no one killed children with radiation outside of Israel. The dosage set by Dr. Sheba was far too high and the X-ray machines he used were outmoded and hence the dosage administered could not be calibrated accurately or administered suitably." To allege that Dr. Sheba knew about the dangers 20 years before anyone else is absurd.